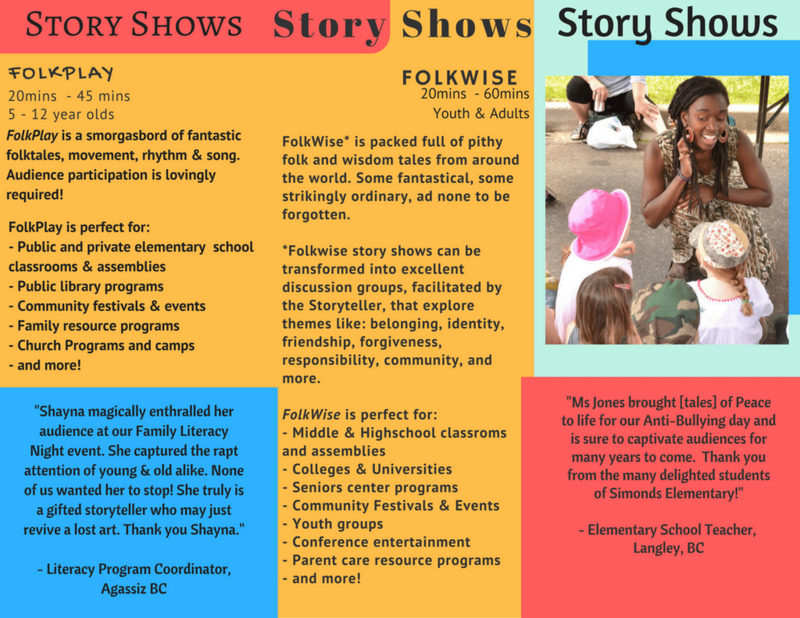 StoryFolk story shows are full of wise words, rhythm, song, and movement. Listener’s are treated to 3, 4 or more stories fitted to the desired duration of the show. Stories range from 5 to 15 minutes in length and are crafted to leave listener’s thinking, reflecting, laughing, or sighing. To weave our way through and around each tale, original songs are sung together, rhythm is created with our hands and feet, and movement is explored to awaken the body and re-engage the mind.